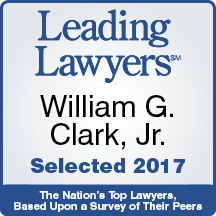 William G. Clark, Jr. & Associates, Ltd. has been providing legal services since 1982. In the early years of the law firm's existence, Clark & Associates handled a wide range of legal matters in the Supreme, Appellate and Circuit Courts. For the past 35 years, the firm has provided services in Family Law matters including Dissolution of Marriage and Legal Separation Judgments; Prenuptial and Postnuptial Agreements; Parental Allocation Responsibility; Parenting Plans; Child Support; Maintenance; Division of Marital and Non-Marital Property; Division of Retirement Accounts pursuant to Qualified Domestic Relations Orders; Contested Litigation; Post Decree Modification of Support; and Mediation. Our mission is to provide quality large firm legal services without the loss of personalized attention to specific individualized needs, concerns and requirements that only a small firm can offer. We believe avoiding unnecessary acrimony between spouses and opposing counsel in Family Law matters better serves our clients' ultimate objectives. Although we are experienced litigators, and will not hesitate to go to court when necessary, experience has shown that most problems can (and should) be solved through negotiation and reasonable compromise. Our attorneys have been trained in mediation techniques designed to minimize acrimony and reduce fees. Our philosophy has evolved and been developed over the course of more than 35 years of providing first-rate legal services to our Family Law clients in the Chicagoland Area, including Cook, DuPage, Will and Kane Counties. As a small firm, we can provide prompt personal service and uncompromising quality in a cost effective manner.